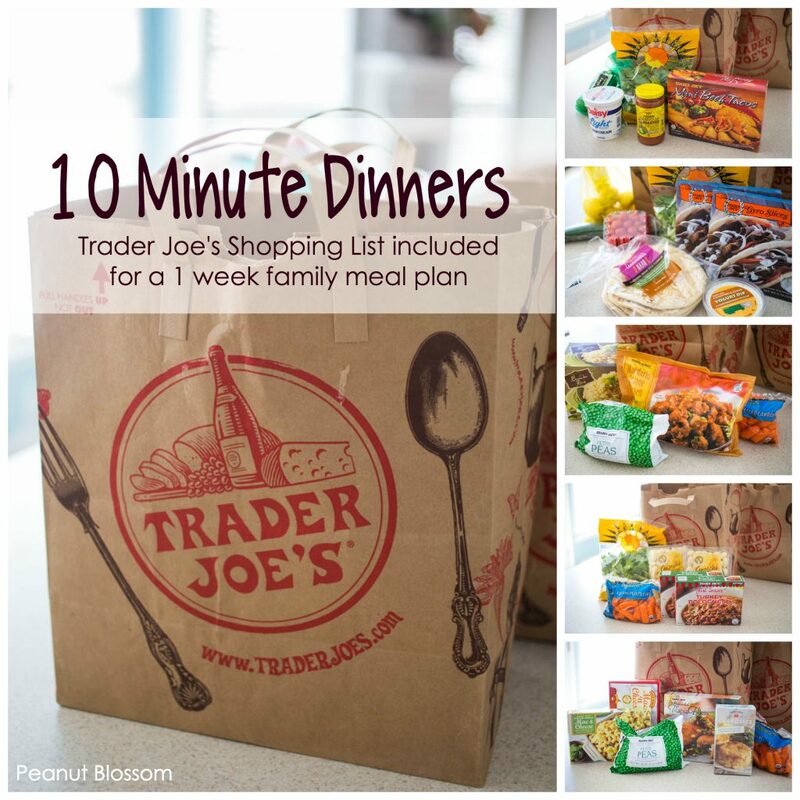 10-minute Trader Joe’s meals: the best busy night dinners in a hurry! Busy weeks call for emergency back-up! 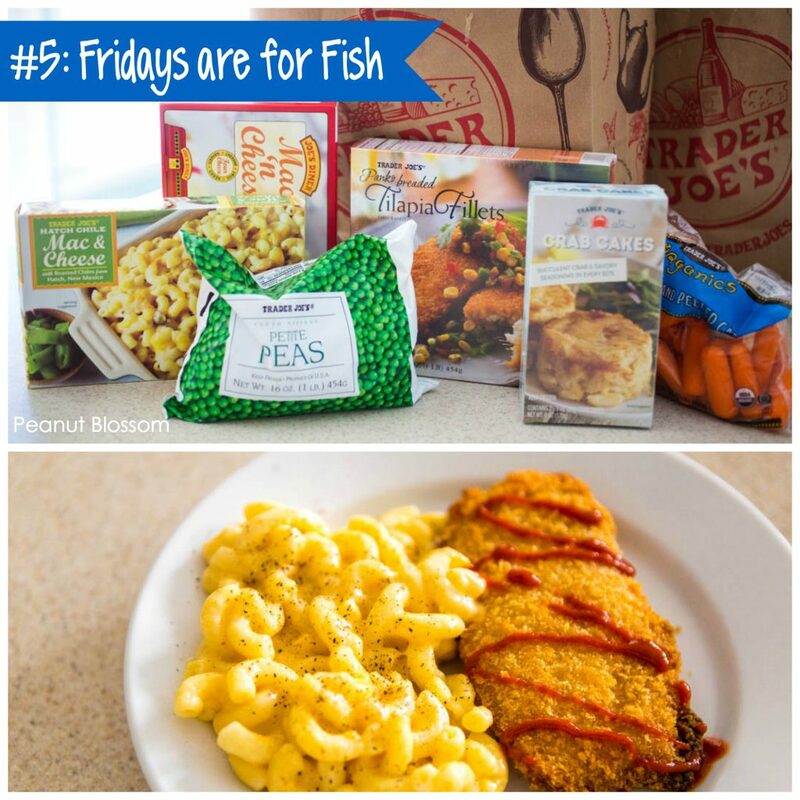 Check out the best Trader Joe’s meals made from Trader Joe freezer favorites that will help you get dinner on the table in a pinch. Have you stared longingly into the frozen aisle and dreamed of a week full of frozen pizza for dinner?? Some weeks you just Don’t Have Time for a pile of dirty dishes. Don’t Have Time for a “30 minute meal” that really takes an hour. Don’t Have Time for the nightly food battle with a picky eater. When the week ahead is so stressful but you still need to feed your family, you don’t have to rely on the drive-thru. I have a better option: I looooove our local Trader Joe’s. Do you have one near you? 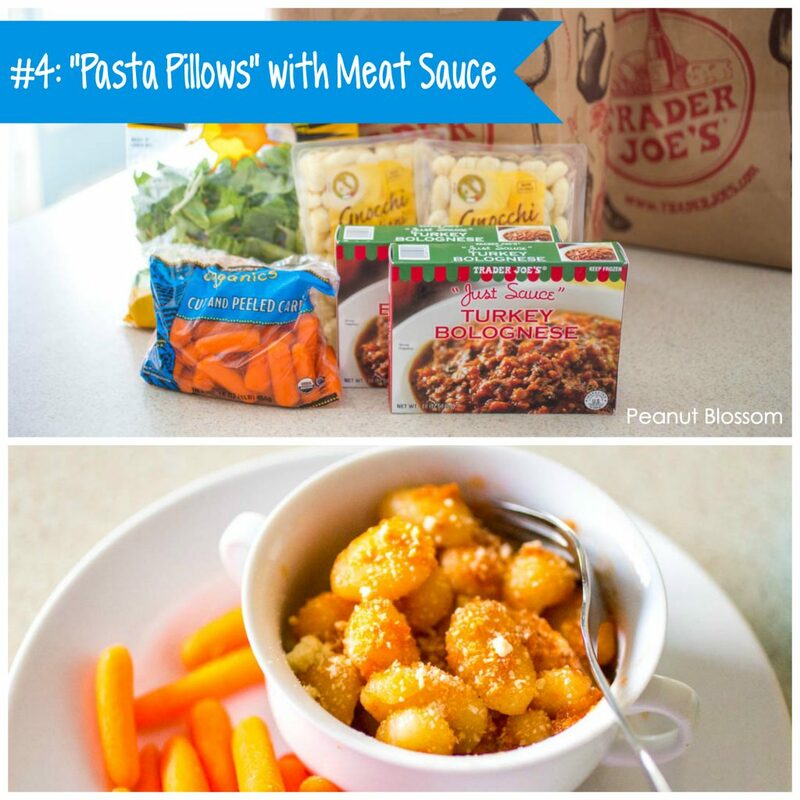 On any given day, you can probably find some of our favorites hiding in the freezer ready for dinner in a pinch. And before I go any further, let me clarify: This is NOT a sponsored post. Trader Joe’s has no idea I’m sharing this. I really do just love these particular products and wanted to share this time saving tip with you! A few weeks ago, my kitchen was “out of commission” as Handyman Tim was doing some fix-it construction in there. My counters were filled with tools and there was no room for my nightly cooking. I still had to get dinner on the table every night and as I got super creative with the prepared foods from Trader Joe’s, I knew I couldn’t be the only one that faces a really rough week now and again. Today I want to share 5 “10 minute Dinners” that will get you through a week of crazy. 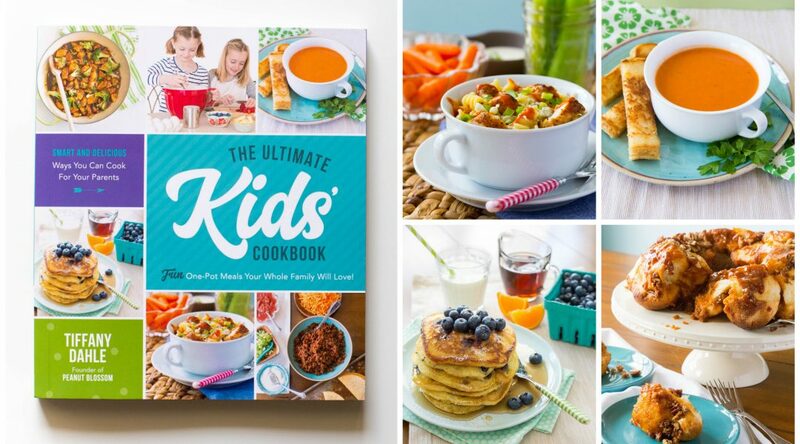 Not one single recipe requires a chopping board or knife but they are still filled with fruits and vegetables that you can feel good about feeding your kids. Some of the dishes require a little more time to bake (the orange chicken and the fish cutlets) but I used that time to help with homework or fold laundry, so I didn’t count it in the hands-on time. These Totally Count as a Homemade Meal! YOU are cooking them. YOU are putting them on plates for your kids. And in my opinion? They encourage the development of a varied palate. They are definitely one notch up from boxed mac and cheese or frozen pizza. So you WIN for serving up something new and different to the family. If you’d like, you can print out the full shopping list right here and make notes on it as you go through the recipes! Let’s take a peek at them . . .
My kids would love to eat these tiny tacos all by themselves with nothing else. But Mommy Guilt totally prevents that. When I served them “crouton style” on top of a bed of bagged lettuce, my kids went crazy for them! We happened to have shredded purple cabbage and chopped cilantro and green onions in my fridge, so I tossed those in with the salad greens. They are completely optional but they definitely perked up the meal. We used jarred salsa and sour cream in place of salad dressing. While the tacos are baking (they take 7 minutes! ), line up the dinner plates and pile up the lettuce. If you have time, mix fresh squeezed lime juice from one lime into 1 cup of sour cream to thin it out and make it more like a “dressing”. 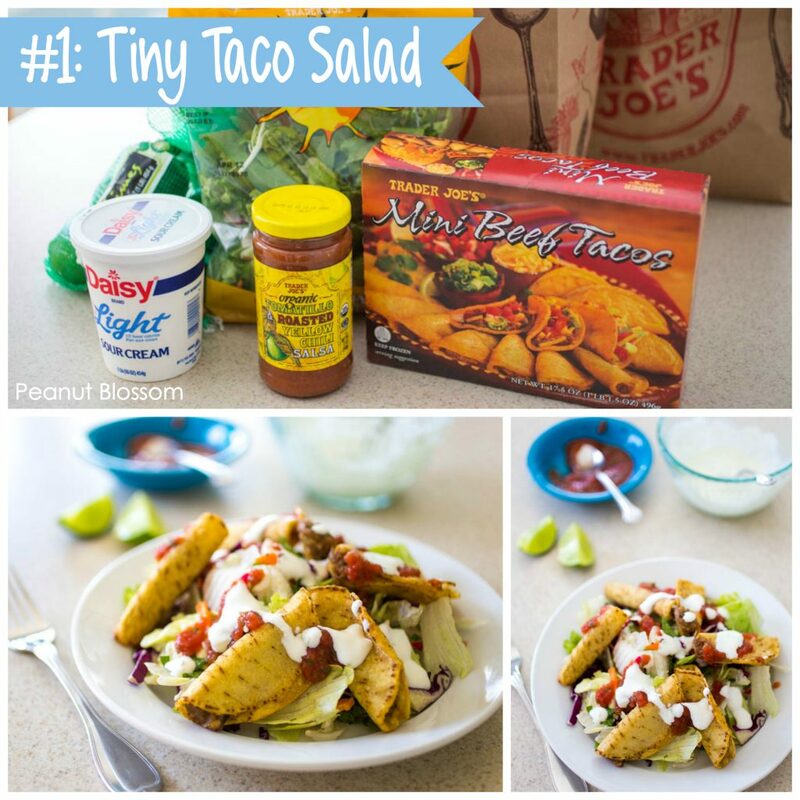 Line the tacos up on the salad, let the family top with the salsa and sour cream as desired. Not pictured: Trader Joe’s Corn Salsa. It comes in a jar and is right next to the other salsas. I forgot to grab it, but it would make an excellent crunchy addition to the salad. Kids will eat anything with a goofy name, won’t they?? My kids were highly skeptical of the word “gyro” so I tweaked it. 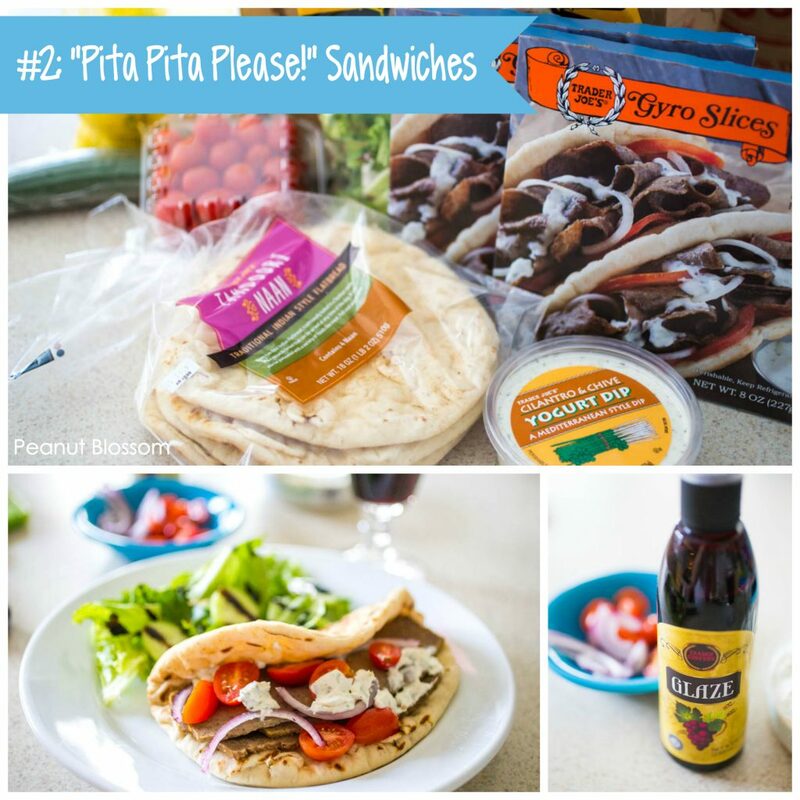 We actually use naan bread instead of pitas because I prefer the texture. Shh, don’t tell the kids. The Trader Joe’s prepared gyro meat gets microwaved for 45 seconds and is ready to serve. I spray the naan bread with a little bit of cooking spray on one side and put them under the oven broiler for a minute to crisp up. (Careful they don’t burn, it happens quickly!) This heats the bread through and makes for a lovely toasted texture to the sandwich. Pile the sandwich with the meat, prepared tzatziki sauce (or the super yummy cilantro & chive yogurt dip I found at Trader Joe’s! ), cherry tomatoes and sliced purple onions. For our side dish, I served bagged lettuce topped with sliced cucumbers and a drizzle of Trader Joe’s balsamic glaze. The entire meal can be deconstructed for a picky eater to try things separately. The prepared dips are great for the veggies, too. 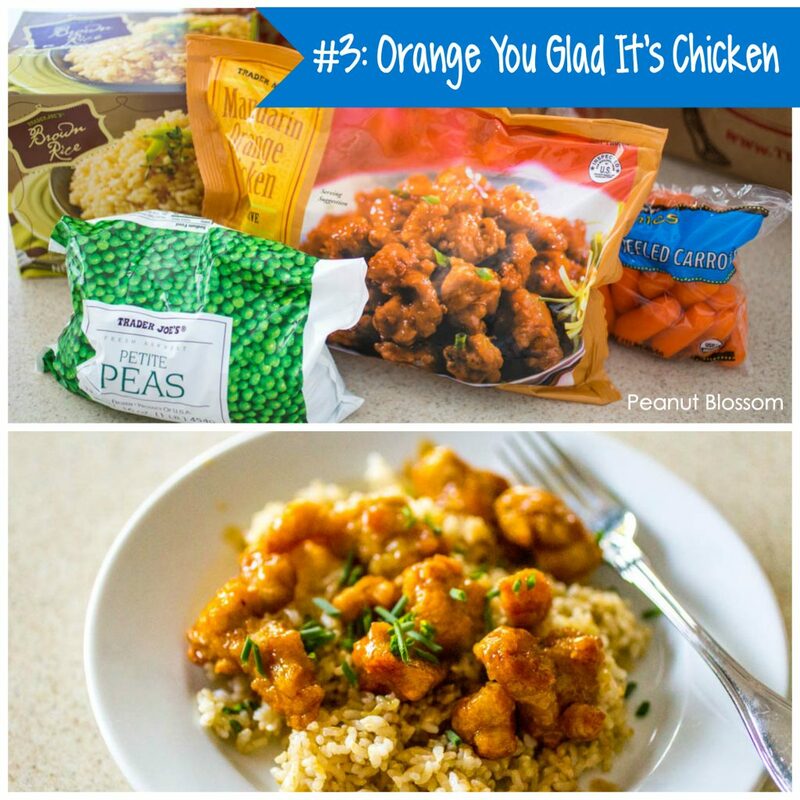 We recently discovered the Trader Joe’s Orange Chicken bag in the freezer section. I’m always skeptical of these things because they tend to bake up mushy. This is different — the chicken is frozen separately from the orange sauce! That means, you bake the chicken up and it gets super crunchy/crispy. Then heat the sauce in a saucepan on the stovetop. Toss the chicken into the saucepan to coat after baking. You can leave the sauce off a few pieces for a picky eater to enjoy just plain nuggets if necessary. I served the chicken over a bed of brown rice. The Trader Joe’s brown rice microwaves in 3 minutes. (They also have a jasmine rice variety if you prefer. If you really want to be fancy, we also love their frozen fried rice but that requires a saute pan.) Not featured in the picture is the serving of microwaved peas and raw carrots for our veggie. Trader Joe’s also has several asian style veggie mixes that would go great with this but they all included mushrooms which are forbidden in our house. My sweet Italian friend Moira is probably dying as she reads this but my American kids panic at the sound of “gnocchi.” To tempt them to try one of our very favorite Italian foods, I gave it a ridiculous nickname instead. Have you ever tried making gnocchi at home? It boils up just like pasta but in much less time. The Trader Joe’s turkey bolognese sauce is one of Tim’s very favorite foods. You can either microwave it for 3 minutes or heat up in a saucepan on the stove. We tossed the freshly boiled and drained gnocchi with the heated sauce and sprinkled with parmesan cheese. Serve it with a simple green bagged salad and fresh carrot sticks. Our busy week fell during Lent so I had to include a seafood dinner into the rotation. We ended our week with simple baked tilapia and mac and cheese. I found the yummy looking crab cakes to make for myself while I served the tilapia to the rest of the family (no one else likes crab) but on the busy night I totally forgot to make them. Figures. We sampled the regular Trader Joe’s macaroni and cheese as well as the hatch chile variety. They both microwave in about 6 minutes. The fish bakes in 20-25 minutes. I served with steamed peas and fresh carrots but any leftover veggies or fruit you have in the house at this point would go with it! We like to top our baked fish with a drizzle of Sriracha sauce to give it a spicy kick. Now, don’t forget to print out your shopping list! I pulled it together with the items listed by department right here. 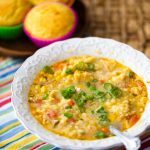 If you enjoyed this post, you really don’t want to miss my 30 Busy Night Dinners: meals for nights when you’re too busy to breathe! And if you’re a big Trader Joe’s fan like me, you’ll want to learn how to pick the prettiest Trader Joe’s flowers for just $20!